Sendible is a solid, engaging, monitoring and measuring app. With a smart Scheduler, good Connectivity and impressive Analytics you can set for successful social media marketing. This social media dashboard has a nice design, really smooth interface, suitable for your needs and with many features. But as with any other app, is everything the authors claim so breathtaking and user-friendly? How good of a match is Sendible for your social media marketing automation needs? Here’s our take on this app. We’ll go through the features and focus on the essential aspects of any social automation platform. We’ll also discuss pricing and end up with an applicable conclusion. How much will you agree with our findings? Let’s find out. We’re always looking for several key features, of which Sendible makes good on their claims in Engagement, Monitoring, and Analytics. 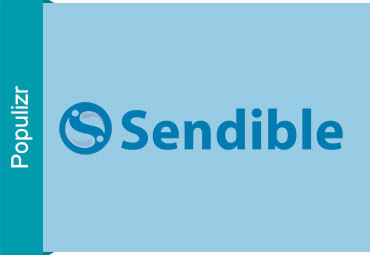 Sendible supports the most popular social networks, blogging platforms, and even email and SMS. But before we get too far ahead, let’s take things one step at a time and cover all the basics. We want to see how Sendible connects with the major social media sites. Also, how good is it in pushing notifications to social profiles, how good is it in engaging people in conversation, and how reliable it is for Analytics. Even though it doesn’t have 150 apps available like Hootsuite, Sendible has the most used apps from all categories (social, photo, blogging etc). Facebook, Twitter, LinkedIn, Google +, Instagram, Pinterest, Plurk and Foursquare ( as you can see below) are the social networking sites that Sendible link with. Some will think this is a small number compared to other social automation tools. But in reality, the key social players are already on this short list. If your business is all about staying in touch with your customers, this multi-service management tool is great. Sendible connects with both blogs and social sites. 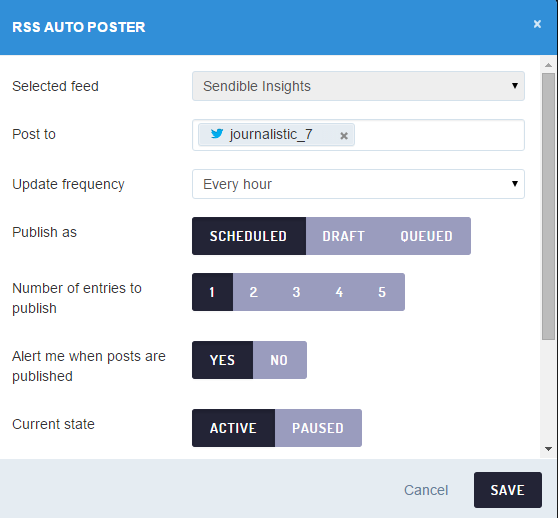 Sendible has efficient and creative Scheduler that simplifies publishing different types of posts. Here is a screenshot of how scheduling a post on Instagram looks like. Sendible has countless possibilities for reposting your updates. You can choose to repeat daily/hourly/weekly/monthly or annually ( see the screenshot below). If you need to repost your updates regularly, you can choose every hour, every 2, 3, 5 hours up to 52 hours. 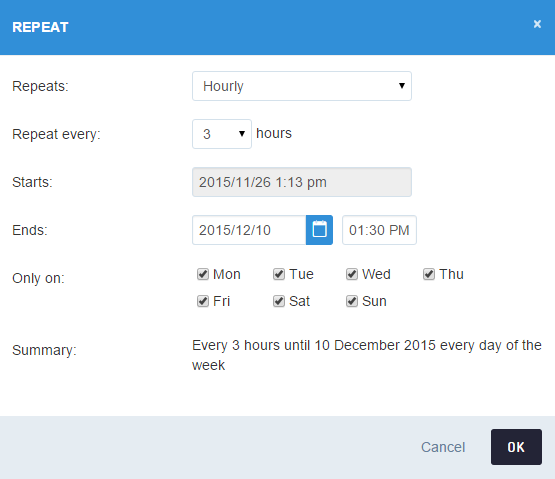 You also need to set the starting and the ending period and which days you want Sendible to repost your content. The only limit about Sendible Scheduler is the optimal time for posting. When you start using it, you need first to post at least 2- 3 weeks. After that, Sendible will show you the optimal engagement time. The system requires 2 – 3 weeks time to provide optimal engagement times. It asks that because it needs to track what periods of the day your posts are most likely to get re-tweets, likes, favorites, comments, etc. Afterward, compile this information so that the optimal times can be determined. It would be better for the Optimal Time to be pre-set based on your timezone. Then, it takes that extra 2-3 weeks to fine-tune the optimal time. 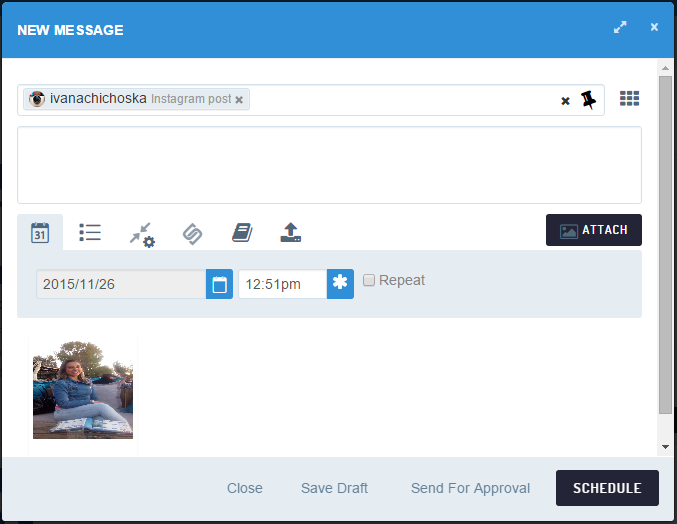 When you want to compose a message and post it on the social media, you can choose RSS, Content and Trends feature and you will have more alternatives for posting. For example- posting: new feeds, new auto-posts, trending news, placeholders, etc. A very useful feature is RSS Auto Poster, which allows you to share content automatically from RSS feeds out to your social channels. Sendible enables you to update the frequency for posting the selected feed. Scheduling post can be set every hour, every 2, 3, 4, 8, 12, 24, every half hour, every 1, 2, 3, 4, 5, or 6 days, every week, etc. You can select some popular hashtag and share it as a tweet on your Twitter profile. 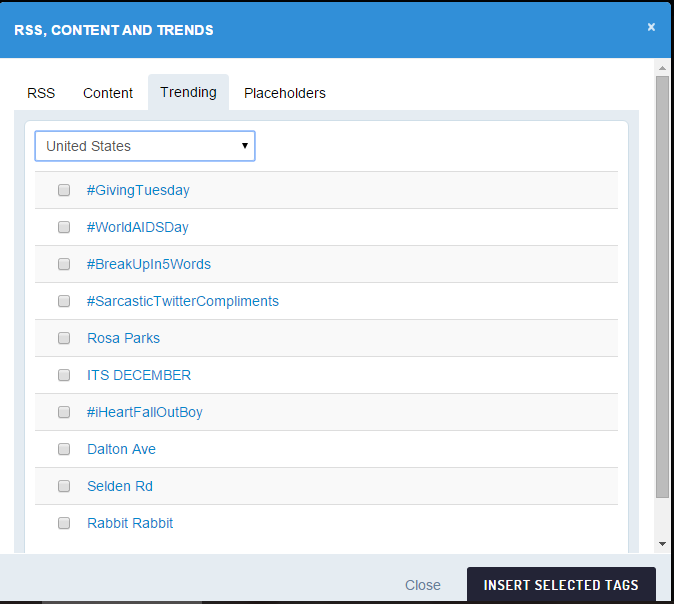 The trends option allows you to seem keywords, hashtags, etc. that are currently trending worldwide. We made this feature so you can add relevant hashtags to your posts and get more engagement. If your primary intention is to save time, money and energy, but in a meantime to follow the trends, Sendible Scheduler could be a great helper for outstanding publishing. In this way, you can boost your ROI and turn your followers into customers with attractive content. You can reply to messages that come through to the Priority Inbox and Streams. By clicking on Engage and then Inbox, the Priority Inbox will be displayed by default. The Priority Inbox is intended to display important messages that you might need to view and respond to. You can view the source, repost the content, mark the update as a favorite, see the conversation, retweet the content, send Direct Message and reply to the sender. You can currently comment on posts, but only if they come into your Streams. In this way, you can listen to what the people are saying and monitor everything related to the keywords you highlight. One of Sendible’s best features is Monitoring keywords, feeds and search. With Sendible, you will undoubtedly monitor and respond to what people say about your company on social networks. This dashboard analyses what others say about you and your brand on the social media, blogs, news and in comments. Sendible also measures these results corresponding to the positive, negative and neutral mentions of your brand. You can monitor feeds as well. This is a screenshot from Sendible insights feeds, and you can share these feeds on your social media profiles that Sendible connects to. The Monitoring feature makes tracking your reputation online a lot easier as we know how many updates are posted every day on the social networking sites and every word for your counts. In-depth and insightful reports are definitely Sendible’s valuable advantage. A successful social media campaign requires a significant investment of time and energy. But thanks to Sendible report modules you will know which social media presence is the most effective for you. General reports refer to the general activity on your account such as how many posts you’ve sent out, information about links you’ve included in your posts, etc. 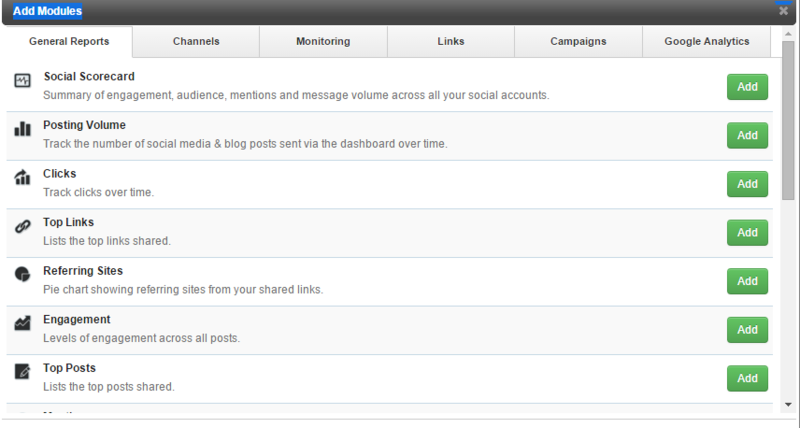 Here is a screenshot of the social channels’ report modules. With the LinkedIn report module, you can see your connections and recommendations. The Twitter report module shows you the Best day and Best time to tweet, Channel header, DMs, Follower Demographic, Followers, and Followers vs. Following. Sendible includes the Klout Score, Mentions, Mentions vs. Retweets, Monthly Tweets, Reach, Recent followers and Retweets too; Also, we did not forget about Sentiment, Summary, Summary ( 3 months), Top 5 Tweets, Tweets retweeted, Twitter comparison and Twitter mentions. Report module of the All Facebook Pages includes a summary of statistics across all Facebook Pages linked to your account. Total Check-ins ( a sum of all check-ins across all of your Facebook Pages linked to your account by day) and Total Fans ( a sum of all fans across all of your Facebook Pages linked to your account by day) are also part of the module. Report module of All Twitter accounts shows you the Total Followers ( the sum of all followers across all of your Twitter accounts by day). Total Following is the sum of all people followed across all of your Twitter accounts by day. And there is the Twitter Account Summary with statistics for all Twitter accounts linked to your account. Here is a screenshot of the Twitter report module. It shows the best time and the best day to post something on your Twitter profile, as really important parameters for successful social media marketing. If you want to find out which are the positive and negative mentions about your product in the last 7, 15, 30 etc days, you can open the Monitoring tab. It is in the optional report modules, and you can set exactly what you want in the report. Below is a screenshot of the positive mentions for the keyword- Web development and these are the mentions from different social media networks. In the Monitoring report module, you can also see the top influencers in the field of, say Web development. 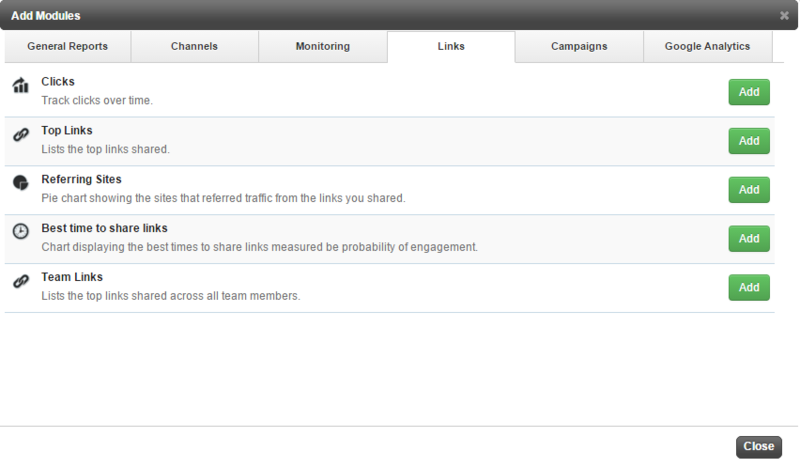 You will also have an insight into the links- track clicks over time, top links, the best time to share links, team links, etc. Sendible shows you the effects of your social media campaigns. You can see all posts, the best day and the best time to post, clicks, email campaigns, comments, likes, mentions, reach, retweets, unsubscribers, top posts, and blog views. Sendible offers connectivity with Google Analytics. In meanwhile, enabling you to track the effects your social media and email campaigns are having on visits, page views, popular content, and geographical data. 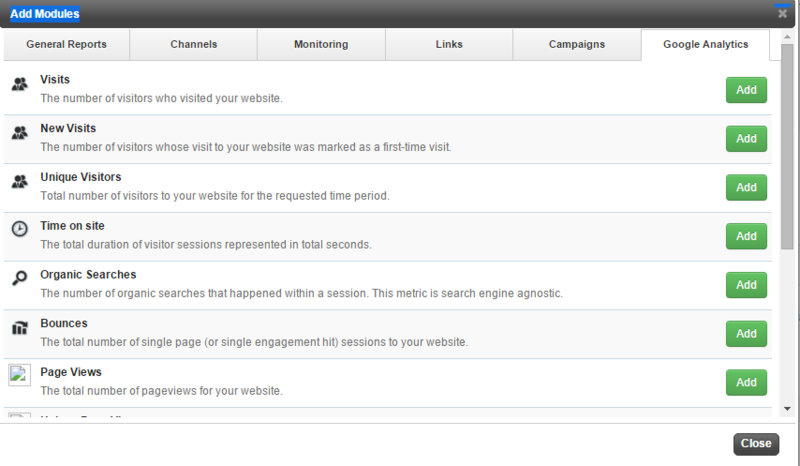 On the screenshot below you can notice some of the options that you can have in your Google Analytics report module. There are many Integrated Analytics possibilities. Report modules show you what drives traffic to your social media profiles. Also takes part in how big is the engagement level, the effectiveness of your social media practices, what is the best time and day to post … So, with all these metrics you will have tangible results and you will know which approach to use for rapid business growth. Sendible platform integration consists of 6 automation apps which I will mention below. Another way to save time is by using the Sendible browser extension. This plugin enables you to share whatever you want, wherever you are on the Web. Sendible integrates with many social networks and because of the way this platform has been built, its team is able to add new integrations very quickly. Sendible’s platform integration is narrowing toward social media. Even though it doesn’t have lots of automation apps available, Sendible offers unique apps such as Facebook Page Loader, Twitter Welcome, Twitter Auto Replies, Twitter Auto Retweets, Facebook Auto Moderator and RSS Feed Importer. Sendible connects with the most popular social and blogging sites like Facebook, Twitter, LinkedIn, Google +, Pinterest, Instagram, Youtube, Blogger, WordPress, etc. All these sites are nicely classified into five categories which make their use easier and simple. If your primary objective of using a dashboard is posting on social media sites, you’ll like Sendible quite a bit. 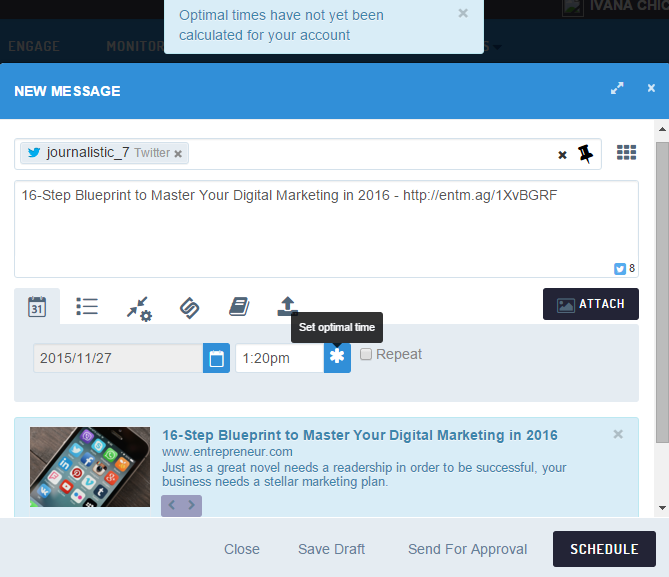 While Hootsuite team haven’t thought of this, Sendible has built in many possibilities for reposting your content- hourly/daily/weekly/monthly/annually. This definitely will make your life easier as you can schedule an evergreen blog post to be posted on social sites on a regular basis, which significantly increases interaction and exposure. Listening to what your clients say about your company and tracking is also a significant advantage of this social media platform. You can comment, reply, like, retweet, etc., which makes Sendible, Business to a customer ( B2C) oriented dashboard. Keeping all your social accounts under one Dashboard and the ability to comment/interact with each follower on all of your social sites makes life easier. One of Sendible’s best features is monitoring keywords, feeds and search. With Sendible, you can monitor and respond to what others say about your company on the social media. Only the time saved in brand tracking makes Sendible great tool to have. 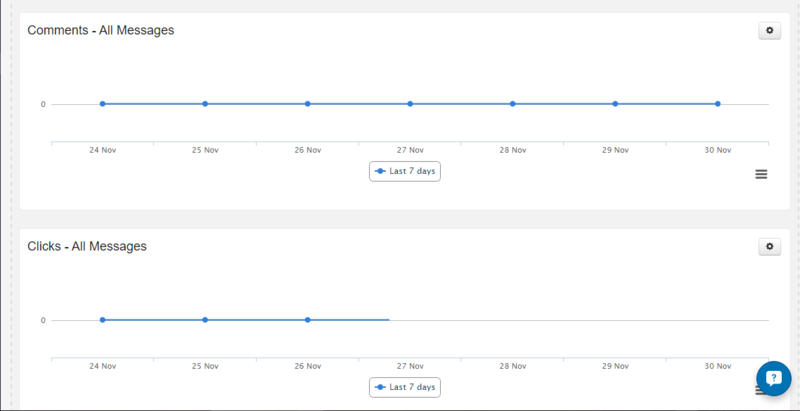 It’s great being able to pull stats from Google Analytics. Then, compare them with local reports on how your activity is working out on Facebook, Twitter, Linkedin, etc. Sendible offers reliable coverage when it comes to analytics and reporting. Setting an optimal time should be more efficient. Waiting 2-3 weeks of posting so it can calculate the optimal engagement time isn’t the best way to do this. You will lose almost a whole month without having an idea when is the best time to post some content. With the rise of Social SEO and the fight against duplicate posts, the reposting tool will soon become either useless or harmful. So, this is a thing to keep in mind when using Sendible. This social media marketing platform is excellent for posting on social media sites, listening to what your clients or potential customers say about your company. Furthermore, it is perfect for measuring the effectiveness of your work. It would be good to have somehow the scheduler to push unique social signals instead of the reposting feature that basically creates duplicate content. Also, the fees can get quite steep very quickly so Sendible isn’t what you’d call a budget-aware app. To use its full potential, you’ll have to climb way higher than $99/mo.